This is an updated version of Clean Icons - Thin by suicidalkatt. The original addon hasn't been updated since patch 7.2.5 as of me uploading this. 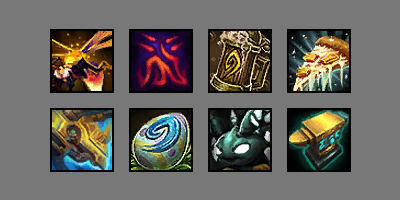 I have gone through and processed every single icon added to the live game since 7.2.5, and made sure they look good and follow the original style. I had already released a fan update for 7.3.2 in the comment section, but since there still hasn't been an official update I decided to release future versions here instead where it'll be easier to maintain. I will be releasing updates for future patches here, including BfA alpha/beta once addons are enabled there. I have a pretty good process of going through new icons now so future updates should be pretty speedy! Extract all files and move them into your "Interface" folder inside your WoW installation (not the AddOns folder). 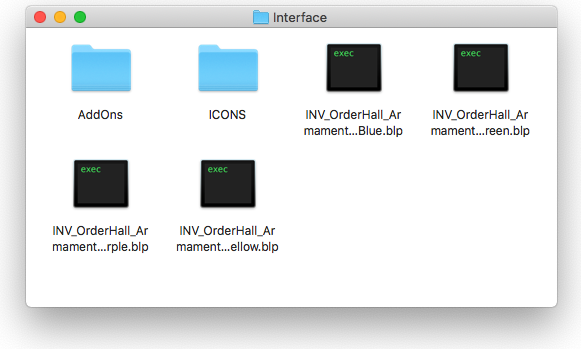 To restore your icons back to default, simply delete the files you added (the folder ICONS as well as four .blp files) in the Interface folder. Icons added to the game up to patch 7.2.5 were processed by suicidalkatt. Everything since then has been processed me. Blizzard owns the original artwork. Hi. Great texture package fan update, as I said before. Can you update it for 8.1.5? I have some missing icons like the ones from the new raid's (crucible) achievements and store toys/mounts. Keep up the good work! Since people seem confused as to what this texture pack actually does - it simply replaces the icon texture files. Addons, including the default UI, can still apply their own borders on top of the icons. You won't get rid of those borders using this alone. Only worked on buffs. Installed correctly. I'm sorry for making this post since you are probably tired of it but, I can't this icon pack to work. I've tried many thing, I put the ICONS folder in \Interface (both _retail_ and the regular one), tried disabling all addons, tried changing folder permissions (not sure if I did that right), running wow as administrator. Nothing seems to work, is there anything else I should try? Browsing through the icons, sorted by date, I noticed that the entire batch modified in August is missing the black border. I don't know if the border is white or transparent, and I have not looked at them in-game. Icons before and after that look fine. August, what year? None of the icons after 2013 have a modified date in August. I went back and checked few icons from every modify date and couldn't find any without a black border. Could you give me an example file name? Last edited by leobolin : 01-29-19 at 10:13 PM. I just wanted to ask if someone knows why the Clean Icons dont show up in Adibags. I have the default ones. Does someone know how to fix this maybe? Because Adibags puts its own border on top of the icons. Last edited by Imiona : 01-03-19 at 09:17 AM. Thanks for the 8.1 update. I think I'm missing some texture icons for themounts from darkshore and new vendors, and the new spells from the new raid that are already added. Would like to know how I can update those myself or if you're looking forward to another update. Thank you again for the amazing job. Have you updated to the latest version? If you grabbed the initial 8.1 pre-release it won't have them all since they added some icons last minute. All the Darkshore mounts have icons. The only icons that are missing to my knowledge in the current version are the 3 listed on the description page. Their filenames are still encrypted, so I only have the icon ID number and the actual texture files for those 3. If you still find any missing icons please let me know which one(s) specifically. Last edited by leobolin : 12-24-18 at 06:33 PM. Hi! Any chance for CleanIcons - Original update? I have no plans to update any of the other variations. This is the only one I use personally and I don't have the time for more. Last edited by Deadlyz : 12-08-18 at 08:33 AM. 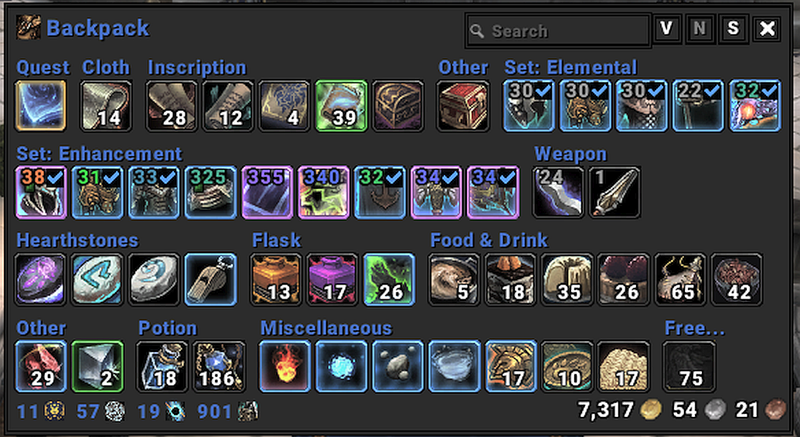 Addons, including the default UI action bar, bags, etc, can still apply their own borders on top of the icons. Thanks for this. The infested icon on nameplates was killing me.